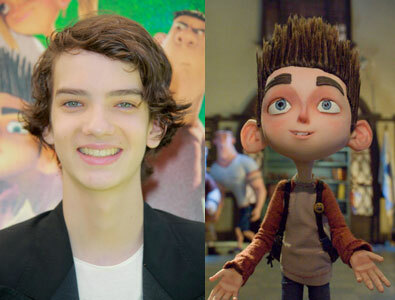 Comic-Con: Kodi Smit-McPhee is Norman, the young boy who can see and talk to dead people in the wonderfully entertaining stop-motion animated film, ParaNorman. I got a chance to talk with Kodi at Comic-Con where he talked about how he gets into character, whether its film or animation, perfecting his American accent (he’s Australian) and seeing his voice in a stop-motion character. What types of qualities were you interested in conveying through your voice for Norman? 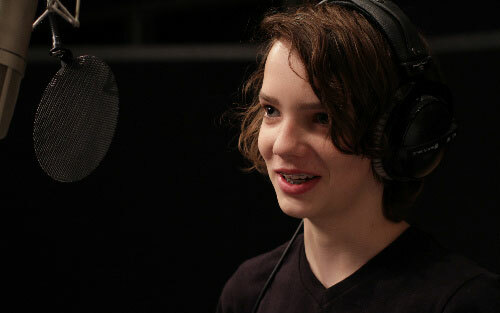 Kodi Smit-McPhee: Right, it’s always been a kind of dream for me to do a character and do a character voice as well. And I actually hadn’t read the script while I was auditioning so I just auditioned these sides they gave me. I didn’t know how big it was gonna be, if it was something just little, sent it off, and then found out I got the job. And when I read the script and had a bit more of the character in my head, I started working on traits and stuff. And really I found out he’s just like me, but I can’t see ghosts. Or hear them. What’s the biggest difference from live action to animation? What was the hardest thing for you? Kodi Smit-McPhee: The biggest difference is just the laid back, you know, fun you have. You can just go in and mess around and, like Anna [Kendrick] said, when you have an idea of something you want to do you can just do it straight away instead of waiting for the lighting and all that. So it’s very more, I think, free. Is it more satisfying that way? Kodi Smit-McPhee: Yeah, I really think it is. I love animation so much. It’s so much fun to see the whole side of them animating but then you’re on this other side of acting and you realize how small of a part that is when everything else they’re working so hard. Then you see it kind of simulate and come together in the end. It’s definitely a lot of fun. When you do your part you’re pretty much done and the animator can go off and do their thing. When you were reading the part and they were kind of explaining and probably showing you story boards and… did you have a feel for the eventual end product? Kodi Smit-McPhee: Well, I thought I had a feel for it. But it turns out when I saw it, it was just… it blew my mind almost. It was totally not what I thought at all. It’s just crazy to see these characters and things just come to life. Yeah. It was really fun and of course we didn’t have any footage to look at or anything, so we really did make the characters from scratch. And I think that was a good challenge, it was cool. Kodi Smit-McPhee: Yeah. It’s really weird. Usually when I watch my movies I’m like… I don’t see it as me, I see it as the character I played which is kind of good feed it back to myself knowing I did a good job. But with this it’s just so weird, because it really isn’t you. It’s just kind of your consciousness in this thing that isn’t real. Yeah. It’s very interesting, it’s a weird feeling. What were some of the things you had to do to get used to speaking with an American accent? Kodi Smit-McPhee: Actually I learned American from a dialect coach when I was probably like 7. So I think learning at a young age kind of stuck it in my head. But also, our TV in Australia is all American. So we all grow up with it, so it’s kind of lodged in our head since we’ve been growing up. So yeah, it’s not too hard. The only thing I would slip back into… like, I would stay American, but because I made my voice higher I would always go slip down so Chris [Butler, the Director] would always tell me to keep that up. When you’re in such a relaxed environment, is it hard to get into the character when he’s in harrowing situations? Kodi Smit-McPhee: Yeah, you think, you know, “What am I gonna do when there’s like a zombie chasing me and I’m supposed to express that feeling?” But, the thing is, take that freedom and work with it and just go crazy. What do you use as an actor to get yourself scared and get yourself in that mode? Kodi Smit-McPhee: Really it’s whether it’s animation or real time, it’s just the work that I do before hand really making this whole character and making a real whole life that I know back to front and that I can jump in and out of. So when I’m in a situation like that, I don’t have to pretend, you know, “What if there were zombies really chasing me?” I would just be Norman and think about Norman. And I would be, you know, that character in that time. What’s the most surprising thing that surprised you about this whole process? Did you have any preconceived ideas like, “Oh, it’s gonna be X, Y, and Z.” But it ended up, you know, anything surprising? Kodi Smit-McPhee: Actually yeah, a really big surprise. When I went to Oregon to see them working on it I… when you think of stop motion you think, you know, “Ok do this. Push it. Push it. Push it.” But I would look at them and the work that they did was literally take a picture and do that. You don’t even know what they did and somehow they get these fluid emotions coming out of it. It’s crazy. I still don’t know how they do it. It’s amazing. So you guys did the recording in Oregon? Kodi Smit-McPhee: No, we didn’t. I just went there to see them, you know, taking the pictures of things. But we did the recording right around the corner from my place. So I could just walk there. It was really chill. What do you have next coming up? What’re you working on right now? Kodi Smit-McPhee: While I was, I think while I was on ParaNorman… well no, I just finished ParaNorman. I went to Rome and did Romeo and Juliette. So I played Benvolio in that. That’ll be coming out late this year or next year. And I did one called The Congress, which is a very deep sci-fi crazy film that I couldn’t even explain because… I read the script over and over again, I still don’t know what I’m reading. And then I did one called Dead Europe, which is just a weird grungy kind of ghost kind of film. Yeah. Is that kind of material more appealing to you at this point? Kodi Smit-McPhee: Yeah, I just realized that after I named all the films that I’ve done, I don’t choose to do that stuff. But I do this handful of things, comedy and everything, and it turns out that I guess I’m good for deep, emotional stress. You know? Kodi Smit-McPhee: And apocalypse. Yeah. I’m good at that I guess.